We believe we are one of the most trusted, experienced and professional tree care specialists along the East coast and as such provide all manner of top quality tree work whether you are a home owner, land owner or business organisation. Safe felling of trees where access or proximity to buildings and other features are not an issue. Reshaping your tree to ensure the best balance of growth, light penetration and peace of mind. Our qualified arborists will safely dismantle your tree in sections, when space is at a premium. Trimming and complete removal of hedges, including conifers. Removal of the stumps to below ground level. 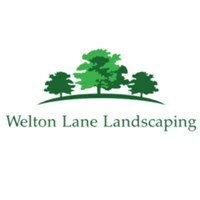 Our staff at Welton Lane Landscaping take pride in maintaining your commercial grounds to the highest standards making the most effective use of your budget. Whether a public or private client, we guarantee excellence.